Walter Joseph Rieper 77, of Waxahachie passed away January 22, 2019 surrounded by his family. Walter was born in St. Louis, Missouri on October 14, 1941 to parents Walter and Hazel. Walter was a 1960 graduate of Waxahachie High School and attended the University of Texas at Arlington. He married his loving wife Kay Sheppard on July 17, 1982. Walter worked for TXU/Oncor for 39 years as a Lead Computer Programmer. He enjoyed bowling, traveling, golfing, fishing and his dogs. Walter is survived by his wife Kay, children Darla Rieper, Tony and Chantell Rieper, Trey and Stephanie Rieper, Jed Shook, Joy and Scott Griffin and Kelley and Tom Guarnero, 16 Grandchildren and 7 great-grandchildren. He was preceded in death by his parents Walter and Hazel Rieper and grandson David Eggleston. 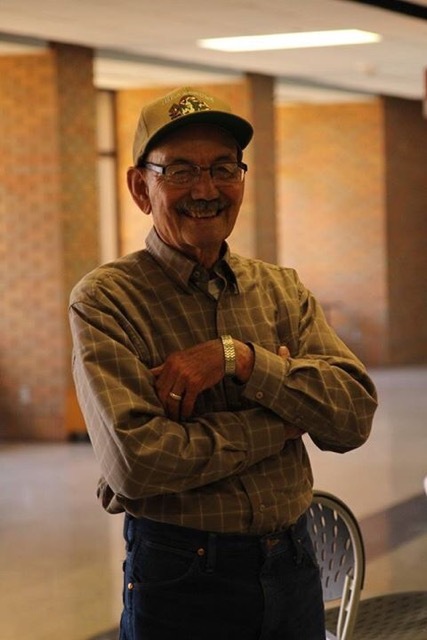 Services Celebrating Walter’s life will be held at The Church of Buffalo Creek located at 2032 S. Hwy. 77, Waxahachie, TX 75165 on Saturday, January 26, 2019 at 2 o’clock in the afternoon. A private burial for family only will follow at Forreston Cemetery. Friends and family are encouraged to gather for a time of visitation Friday, January 25, 2019 from 6-8 in the evening at Wayne Boze Funeral Home in Waxahachie. Arrangements under the direction of Wayne Boze Funeral Home.